Mandarin Oriental Jumeira Dubai is delighted to introduce diners to the true flavours of Portugal at Tasca by acclaimed Portuguese Chef José Avillez. Tasca takes inspiration from a traditional Portuguese eatery, “tasca”, serving genuine food and drinks but with a contemporary twist. With a menu based on a sharing concept, Tasca takes guests on a culinary journey across the rich and varied country. Dishes include a modern take on a range of Portuguese classics from both the sea and the land, such as Giant Red Shrimp, Bacalhau à Gomes de Sá, Piri Piri chicken with smoked avocado cream, and a surf and turf platter with Blue Portuguese Lobster. Complementing the menu is a wine list with the largest selection of Portuguese wines available in Dubai as well as a tempting array of craft cocktails. Tasca is a dining destination that makes for a lively night out, combining authentic dishes, eye-catching design, and an eclectic atmosphere. 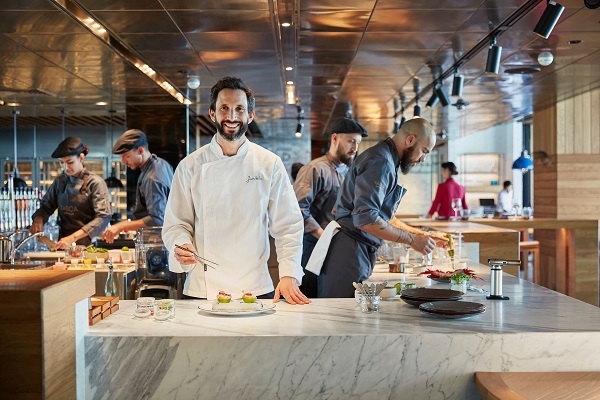 The fully-immersive experience includes live demonstrations at both the bar and the kitchen as chefs and bartenders work together to develop inventive culinary and mixology creations. With spectacular views over Dubai’s glittering skyline on one side and the Arabian Gulf on the other, the restaurant offers both indoor seating and outdoor terrace dining complete with an infinity pool overlooking the Gulf. “I believe Portugal has one of the best cuisines in the world as well as the best fish and seafood and at Mandarin Oriental Jumeira, Dubai, I aim to deliver some of our best flavours and products with a contemporary twist. Tasca offers a casual chic dining experience with specialities that burst with character and flavour.” says Chef José Avillez. is Chef Avillez’s first international opening. His other restaurants include the Michelin-starred Belcanto as well as several celebrated venues in Portugal. 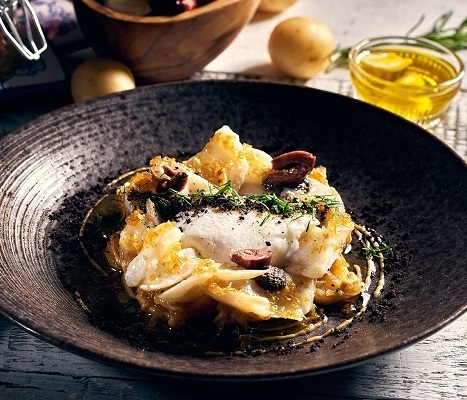 José Avillez is considered one of the great references of Portuguese gastronomy and has stood out because of his enterprising spirit and drive to go further. He has several restaurants in Lisbon and in Porto, each with a different concept, but all expressing his passion for cuisine: Belcanto distinguished with two Michelin stars and considered one of the best restaurants in the world by the prestigious "The World’s 50 Best Restaurants List”, Beco Cabaret Gourmet, Mini Bar, Bairro do Avillez, Cantinho do Avillez, Café Lisboa, Pizzaria Lisboa, the three restaurants in El Corte Inglés' Gourmet Experience – Tasca Chic, Jacaré, Barra Cascabel - Pitaria, Cantina Zé Avillez, Cantina Peruana, in partnership with Peruvian chef Diego Muñoz, and Za'atar, in partnership with Lebanese chef Joe Barza. Mandarin Oriental Jumeira, Dubai is the most exciting new addition to the region’s luxury hotel scene. Its unrivalled location with easy access to both international airports makes this the ideal venue for both business and leisure travellers. It also holds the status of being the closest beachfront resort to both Downtown Dubai and the financial and business districts. Located in one of Dubai’s most prestigious neighbourhoods, the resort’s spacious and elegant rooms and suites combine contemporary décor with guest-centric technology and spectacular views. There are six first-rate restaurants and bars including two signature restaurants, a state-of-the-art destination spa spread over 2,000 square metres, a fitness centre and a kids’ club. Mandarin Oriental Hotel Group is the award-winning owner and operator of some of the world’s most luxurious hotels, resorts and residences. Having grown from its Asian roots into a global brand, the Group now operates 33 hotels and six residences in 23 countries and territories, with each property reflecting the Group’s oriental heritage and unique sense of place. Mandarin Oriental has a strong pipeline of hotels and residences under development, and is a member of the Jardine Matheson Group.